Our motorbus exhibits have representatives from the 1940s, 50s, 60s, 70s and 80s. 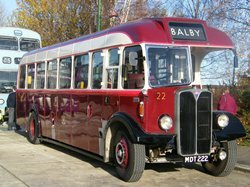 Several examples from the motorbus collection are in operational condition and some of these are used to operate free tours on our Trolleydays around the local area. The area is known as the Isle of Axholme because it was once an island before the area was drained centuries ago - some of the area is below sea level, the Museum itself being only around eleven feet above sea level). The free bus trip takes approximately half-an-hour and is accompanied by a guide who can tell you about the things you see on the tour. Occasionally, visiting motorbuses are used on these tours. These motor bus tours operated by the Trolleybus Museum at Sandtoft are provided free of charge and admission to the Trolleybus Museum is neither required nor granted by the use of these tours or any other free bus service provided by the Trolleybus Museum and payment for admission to the Trolleybus Museum is not a condition of carriage. 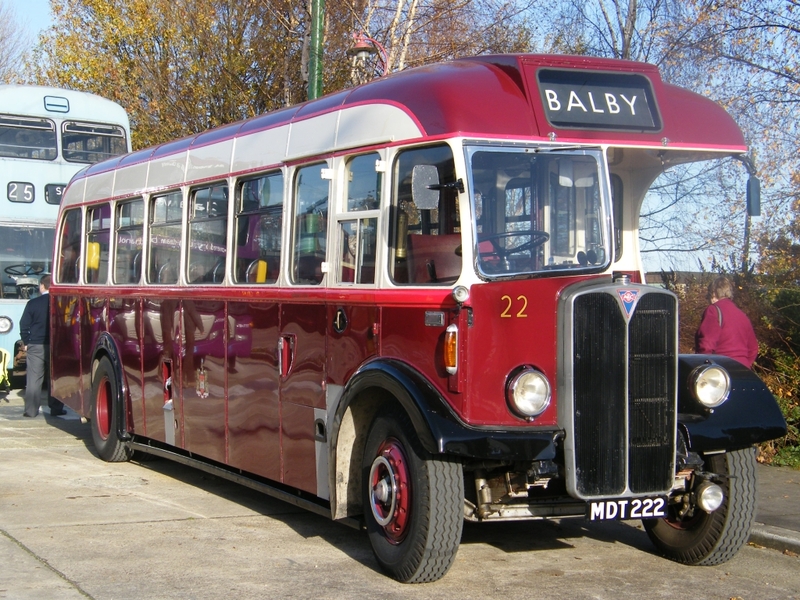 The photograph shows the ever-popular ex-Doncaster Corporation no.22 dating from 1952, an AEC Regal III with a Roe body.